It is three years since John’s Campaign launched with the goal of making hospitals and other care settings as welcoming and accessible to family and carers of people with dementia as they are to parents of children. 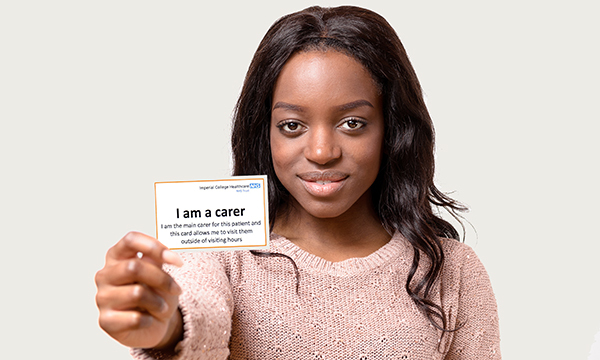 In that time, 1,150 care settings across the UK have pledged to remove all restrictions on visiting access and to embrace a positive and collaborative attitude towards family carers. ‘In every country of the UK there appears to be a majority acceptance of the John’s Campaign principle in hospitals, though there is a long way to go in other areas of the healthcare system,’ stated a progress report published on the campaign website in November 2017. Now its founders, Julia Jones and Nicci Gerrard, are working to tackle the variation in visiting access that still exists across the UK and to broaden the campaign’s reach, with a focus on improving access to family carers in nursing homes and mental health settings. John’s Campaign was initially targeted at hospitals in response to the ‘catastrophic and irreversible decline’ of Ms Gerrard’s father John after he spent five weeks in hospital without his loved ones around him. ‘He went in able to function reasonably well by himself at home, but when he came out he had lost his sense of self, he was frail, and he never recovered his functionality,’ says Ms Gerrard. Her father’s experience is supported by evidence that suggests that one-third of people with dementia who go into hospital for an unrelated condition never return to their own homes. And around half of all patients with dementia who go into hospital leave physically and mentally less well than when they were admitted. In England and Northern Ireland there is some involvement from the regulators; those in the other countries have not yet been approached. In Wales and Scotland, a welcome to the carers of people with dementia in hospitals will be underpinned by government policy. In recognition of the inequitable situation, Scottish nurse directors have recently agreed that open visiting is not an optional policy but must be implemented by all health boards during 2018. There is some involvement in all the health and social care trusts except for the ambulance service. From the start England has shown strong support for John’s Campaign, but the ‘patchiness is worse in England than the other UK countries’, says Julia Jones. ‘In England, chief nursing officer Jane Cummings said recently that it should be a “new year’s resolution” to look again at restrictions on visitors, which is supportive, but we would like NHS England to go further. ‘We need to make this cultural change universal – just as parents’ rights to be with their children in hospital became universally accepted in an earlier generation,’ adds Ms Jones. The campaign aims to increase understanding among health and care professionals that the continued presence and support of family carers can help to protect people with dementia against these detrimental effects. There are tangible benefits to having family carers involved in the care of people with dementia in hospitals or care homes, such as being able to help them during meal times to prevent malnutrition, says Ms Gerrard. But there are also many more ‘mysterious’ benefits. ‘Family carers can be the bridge between a person with dementia and the world: without them their sense of connectivity is shattered. It is about keeping them alive in the world, that can’t be done by nurses and professional carers alone because they don’t have that time,’ she adds. John’s Campaign asks for a positive opt-in. Wards, hospitals, trusts, care homes and other institutions pledge their welcome to carers in no more than 50 words. Participating settings are listed on the John’s Campaign website and published on The Guardian website national Carers Welcome list, where the campaign was launched in 2014. ‘The level of awareness of John’s Campaign has been extraordinary, it’s become a movement,’ says Royal College of Nursing professional lead for long-term conditions and end of life care Amanda Cheesley, who was involved in the campaign from the start. ‘There has been significant sign-up across the UK because all four chief nursing officers have been very supportive,’ she adds. ‘The campaign has got dementia champions and dementia lead nurses involved in spreading the message and this is filtering through organisations,’ she says, adding, ‘progress in awareness would have taken much longer without John’s Campaign’. Over the three years, co-founder Julia Jones says it has become evident that John’s Campaign is as much about a change in attitude as it is practice. ‘It’s a mutual respecting of expertise, we the family carers naturally respect the expertise of the professionals, but they need to respect the fact that we know the intricacies of someone’s personality and we can be a walking guidebook to that person,’ she says. The progress report notes that it is often individuals, most often dementia lead nurses, who have seen that this change is sensible and compassionate and have developed their own initiatives, which in turn become catalysts for cultural change across the whole organisation. ‘There are some wonderful grassroots initiatives, it’s a real bottom-up approach,’ adds Ms Jones. Establishing this culture of openness and partnership working has also benefited the participating institutions, changing the atmosphere of wards, increasing overall levels of satisfaction and making best use of resources, according to the report. The campaign is proving most effective where clinical commissioning groups (CCGs) get involved. ‘That’s where you start to get the culture change across the locality and then of course we are starting to join up the system,’ Ms Jones says. She gives the example of Surrey becoming ‘a particularly good English county as two CCGs have joined and this shows the brilliant capacity of CCGs to get the message to a range of different providers’. Ms Gerrard is working with the Royal College of General Practitioners to get GPs on board, so surgeries can become ‘gateways to the campaign’. ‘Surgery waiting rooms are the ideal place to increase public awareness so that everybody knows their rights to access,’ she says. If there is one lamentable outcome from the campaign’s success, it is that it has created ‘an inequality of welcome’ for family carers outside of progressive areas and this patchiness is shown by the white spaces on the John’s Campaign map of participation. 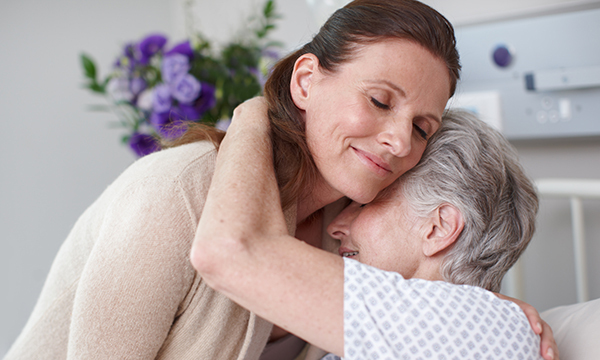 As the situation has broadly improved in hospitals, the shortcomings for family carer involvement in residential care have become more evident. ‘We couldn’t believe there could be nursing homes that didn’t welcome family carer involvement but we were wrong,’ says Ms Jones, recounting how one John’s Campaign blogger was shocked when her husband moved from an open access hospital to a care home where she was told she could not change his pads. But last year John’s Campaign partnered with Care England to help spread the message and ramp up participation. In November, Care England launched its Honoured Guests booklet, which gives practical tips to care home staff on how to work proactively with family carers. It is already helping to increase sign-up. So far, around 600 care homes have opted in, and one of the largest providers in the country HC-One, which is already a John’s Campaign supporter, has confirmed that all newly acquired BUPA homes will be joining by Easter, says Ms Jones. This momentum is further helped by the introduction last autumn of new Care Quality Commission (CQC) lines of enquiry that examine how residential homes welcome family carers. ‘CQC inspectors will consider how family and friends are treated as part of our assessment of services – we want to see an open and inclusive culture and a key aspect of that is for residents to be able to be surrounded by the people they love when they want to be,’ CQC chief inspector of adult social care Andrea Sutcliffe told Nursing Older People, adding that she is ‘delighted’ John’s Campaign is now gaining traction in the care home sector. The next challenging area to tackle is care of people with dementia in mental health settings. Lesley Carter, head of health influencing for charity Age UK, says: ‘Mental health units tend to be reluctant to have visitors, and things can go wrong when people are isolated from their family and carers.’ Ms Carter is hoping to soon begin work on a national project to better understand barriers to family carer participation in mental health settings. As far as the founders are concerned, their work will not be done until there is universal access for family carers. ‘Every day we are surprised and happy about what we have achieved, but then we are cross that we still have to run around campaigning when the principles should be so obvious,’ says Ms Gerrard.